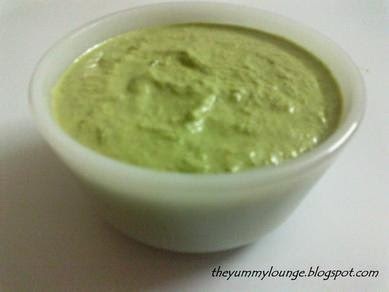 Coriander Peanut Green Chutney is a spicy Indian deep. 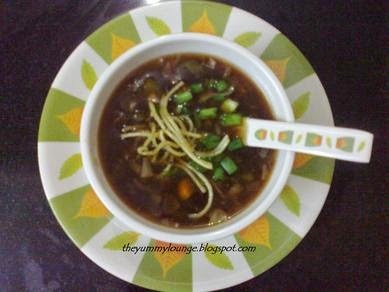 It is also known as Hare Dhaniye ki Chutney, Moongfali ki Chutney in Hindi. Its nothing but simply fresh cilantro and groundnut chutney. It is a great accompaniment to snacks like: Spring Roll, chips, Samosa, Kachori, Sandwich, Kabab, Khaman, Dhokla, Bhajji, etc… It is also used in some snacks also like: Dabeli, Club sandwich, and many more varieties. Coriander Peanut Green Chutney is made from fresh Coriander, Peanut and green chili. In this recipe three green chilies are used. You can add more as per your taste. And coriander should be fresh. 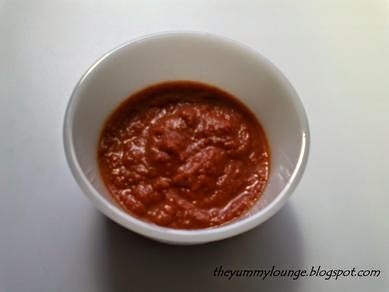 It is very quick and easy to make at home. 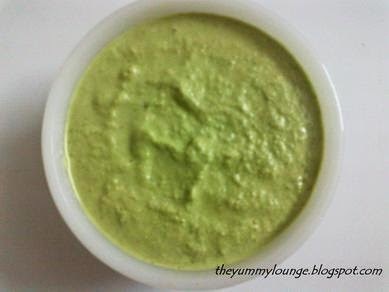 Below is the recipe of Coriander Peanut Green Chutney. Mix all the ingredients in mixture jar and grind them well. Spicy Coriander Peanut Green Chutney is ready. Serve with Sandwich, Spring Roll, Chips, Samosa, Kachori,, Khaman, Bhajji, or any snacks you like.